A group of Nigerian researchers have cried out to the President in order to avert what has been discovered as a ticking time-bomb. The group of researchers called on the President, Muhammadu Buhari to take measures that could reduce the effect of earthquakes which have been predicted by the research study. The research team lead, Dr. Adepelumi Adekunle Abraham of the Department of Geology, Obafemi Awolowo University (OAU), Ile-Ife, submitted the report titled “Preliminary Assessment of Earth Tremor Occurrence in Shaki Area, Shaki West Local Government, Oyo State”. The report however indicated an impending ‘damaging earthquake” in the next four years. 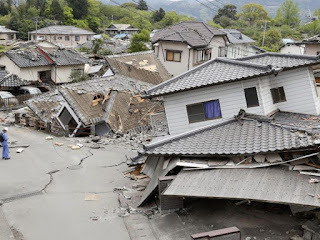 In the same vein, the National President of the Nigerian Association of Water-Well Drilling Rig Owners and Practitioners (AWDROP), Michael Ale advised the President Muhammadu Buhari-led administration to take precautionary steps in minimising the effect of the impending quake.